The Twitter world is quite a busy one, and Bollywood contributes a great deal to it. Here's looking at the best star tweets of the day. 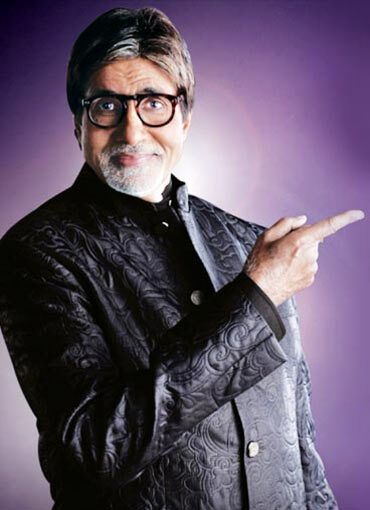 Amitabh Bachchan had a blast at the Yamla Pagla Deewana music launch. He tweeted, 'And just back after inaugurating the audio release of 'Yamala Pagala Deewana' the new Dharamji film. Had promoted this on KBC too. Great atmosphere at the audio release. Fun and dance and brotherhood. Good feel for the film. Lots of energy and then ... 3 DEOLS !! When Katrina tried to strangle Madhuri! Get a sneak peek you guys! An episode worth watching for sure! Sonakshi Sinha celebrates with her parents in Goa! Best TV hosts of 2010? Vote!